Do you love or not much love clams? How about Herb Coconut Milk Steamed Clam! I am a major seafood, shell fish, clam lover! The more I get to play with my food, the better. We laugh because if I play, slurp, get to dig in, I am a happy food girl. Brian on the other hand, is the exact opposite. If it is work, he could go without it. Like peeling huge gulf prawns, slurping coconut milk from a clam shell, or cracking a crab, he can do without. Me, give me more, I love it! I really do love playing with my food. I was so happy when I was at my local market and I saw fresh, local Pacific Northwest clam on sale. I actually went in for prawns, but they didn’t look as good as the clams, so I simply changed my game plan for clams. I often do that, if something else is on sale, or looks better, why not grab it instead. Especially with seafood, meat, and in season foods. It makes sense to me. So I went for it. I am happy I did. I made this coconut milk, herby, very lightly spiced broth that took 15 minutes total. It’s light, healthy, and super delicious. Plus clams. Yes, please, and thank you. I used Gourmet Gardens newest goodies of their lightly dried herbs, in conjunction with their easy to use lemongrass. I always have these on hand in the freezer for quick meals and easy use. 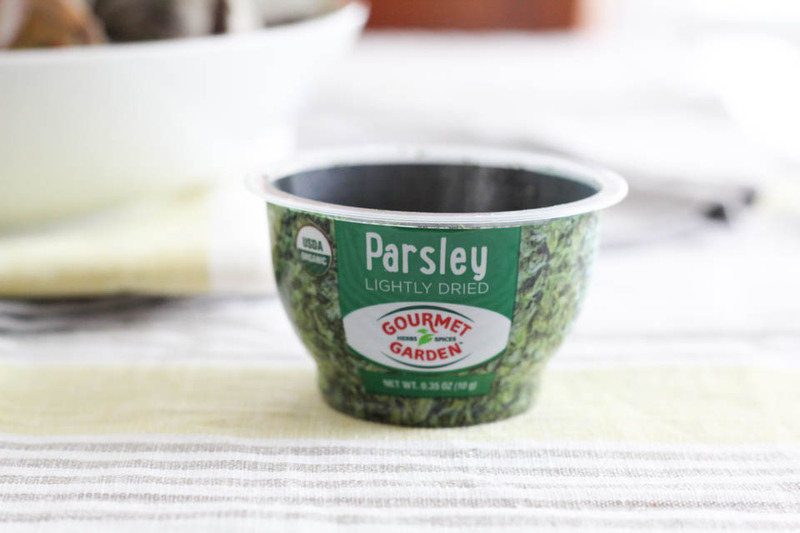 The lightly dried herbs are super fragrant, and still maintain their natural oils which is what has a lot of the flavor. That is what I love about them the most. So I am down with Herb Coconut Milk Steamed Clam dish anytime. 1. Simply place in a pyrex/tupperware in a single layer on a damp paper towel. Do not cover with lid. 2. Cover lightly with one layer damp paper towel. You can store them like this for 2 days. Re-dampen the paper towel if it dries too much. Tap water is basically poison to them, that is why we don’t store them in a bowl of water. 1. Place olive oil in large 10-12 inch skillet over medium heat. When oil is shimmering, add onions. Cook for 3-5 minutes, or until softened. Add lemongrass, and garlic, cook for 2-3 minutes. Add coconut milk, use a fork to whisk to combine. Add salt, pepper, and chiles, stir. 2. Add clams, cover and cook for 5-7 minutes, or until all the clams have opened. At 7 minutes, discard any clams that have not opened. Turn off heat. Transfer clams and broth to serve in a large bowl. Sprinkle parsley over top of clams and broth. Best if enjoyed on same day. Not desirable for leftovers. 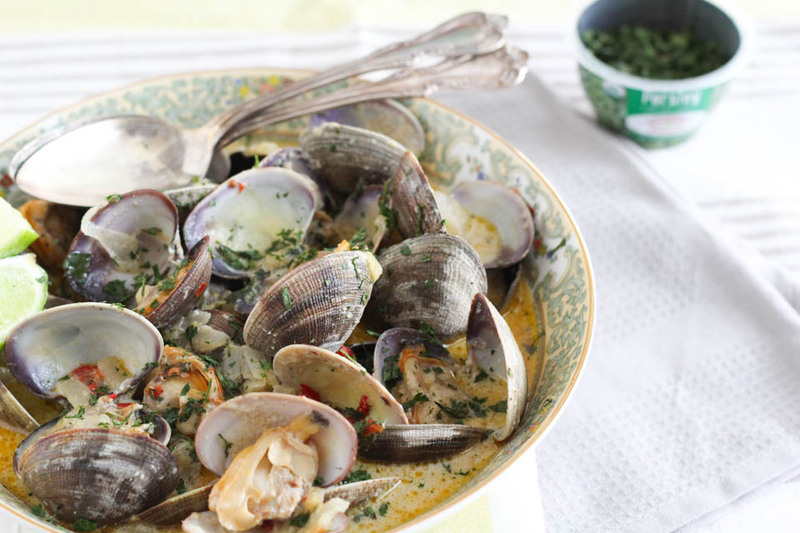 Need more clam and seafood recipes and inspiration? Here are some recipes from my blogging friends! Easy Baked Salmon from Foodness Gracious. Farro with Seafood from Dine and Dish. Linguine with Clams from Cooking with Books. It totally would work with mussels! I love seafood but I’m just getting into loving clams! They’re beautiful in this dish! Thank you! I hope you’ll give it a go. I’m a very big fan of shellfish. Love those lightly dried herbs! And the clams look amazing. Pinned. Awesome, me too! Thank you so much! Oh my, those photos are gorgeous! 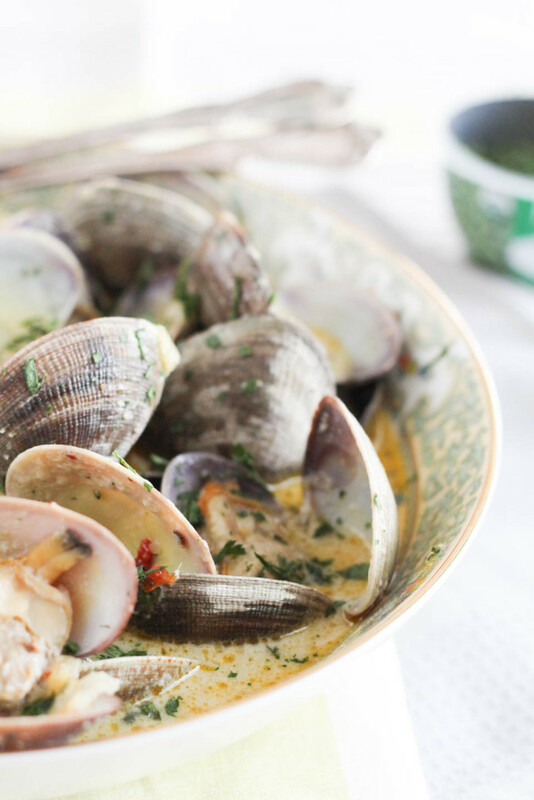 I’m stuck on only making clam chowder with clams; obviously need to expand my horizons and this recipe looks like a great place to start! Wow, thank you! Totally try it, it really is so easy. Such a simple but elegant dish! This looks absolutely amazing! I can’t wait to try them. 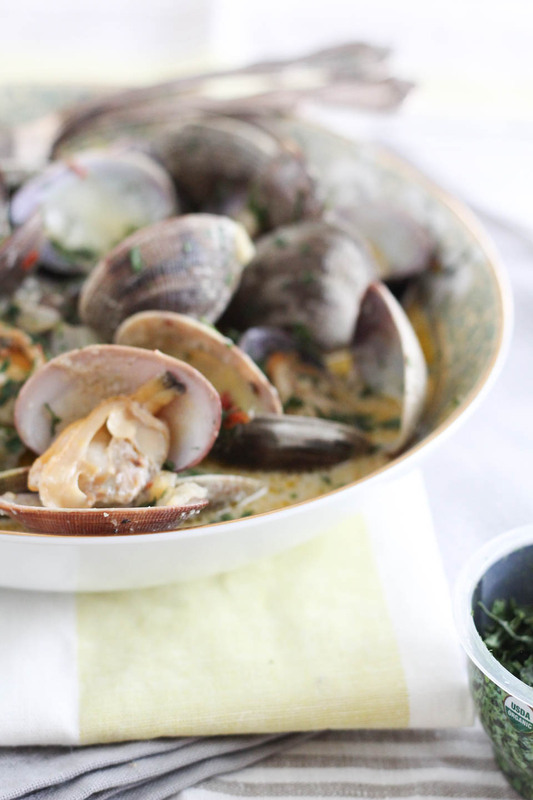 My oldest son loves clams and mussels…I am going to try making it for him! Thank you, Michelle! They are so easy, I hope your son likes them! This looks absolutely fantastic! I tried Gourmet Garden when I attended the food blogger potluck in PA and their semi-dried herbs was amazing! PS: the fun in eating is getting your hands in it. I’d totally get my fingers in this and slurp away! That is awesome! I tried them at the Ca Potluck, sad we were on different coasts. We could have met! i love the idea of the coconut milk infusion…. and thanks for the tips on storing clams! i’ve always wondered about that. Coconut milk and herbs, to die for! My pleasure, I hd always wondered myself, and once I learned I wanted to share! Beautiful post, Fabiola. I haven’t tried working with clams yet…something about them intimidates me. 🙂 Nice use of the GG Lightly Dried herbs. Thank you, Cristina! Oh I hope you do, they are so easy to cook, let me know if you have any questions :). These photos are absolutely stunning my friend!! Oh My. I want a big bowl of these clams sooooo bad! I am in love with those lightly dried herbs. Yum.